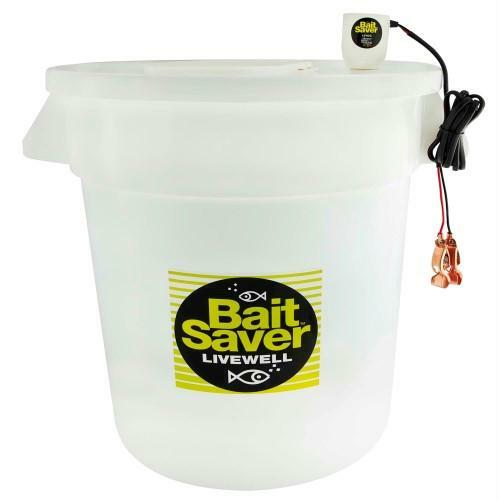 20 Gallon Bait Saver Livewell comes with a 12 V DC low current (.75 amp) aerator that has been the standard of all portable livewell aeration systems since 1961. 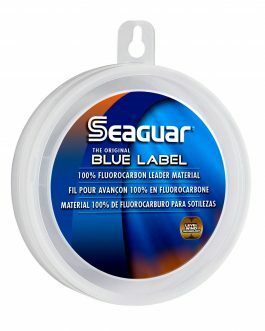 It produces 99.4% saturation of dissolved oxygen. It has a detachable filter and impeller guard. 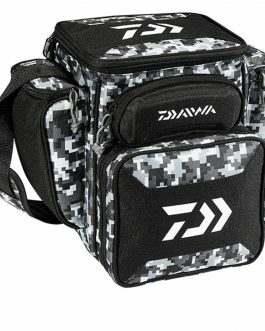 The 5 gallon livewell has molded handles with a large opening lid for easy dip net access. 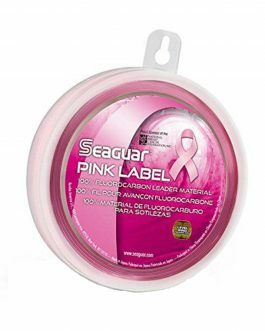 The lid also serves as a handy cutting surface and has mounting tabs for tools, hooks and tackle. The complete system includes Bait Saver aerator with filter guard, 6′ 16 AGW power cord, copper battery clips, livewell and hinged lid.